How we created a tool for those suffering from Trichotillomania (hair pulling disorder) and other body-focused repetitive behaviors (BFRBs). 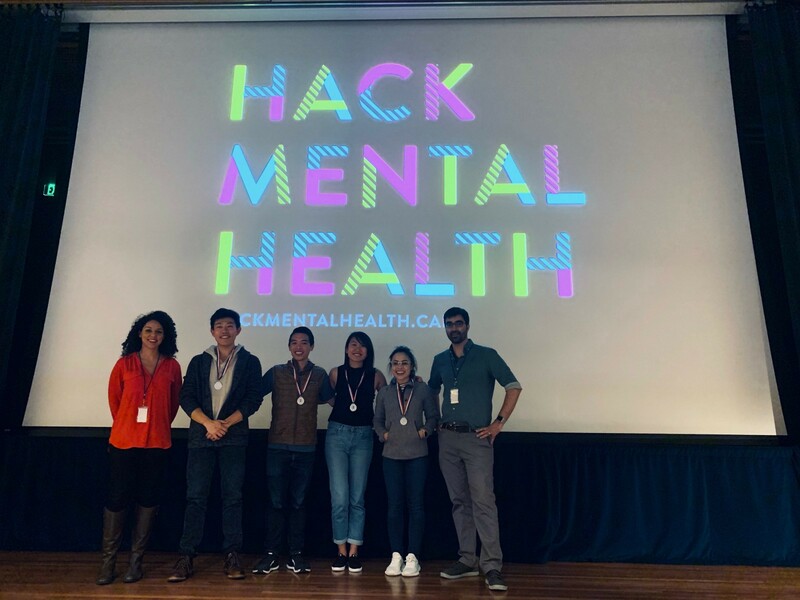 Our team spent this past weekend at HackMentalHealth exploring how chatbots and other technology could augment the therapeutic process for those suffering from Trichotillomania (hair pulling disorder) and other body-focused repetitive behaviors (BFRBs). We often talk about how technology can automate away humans, like self-driving cars replacing drivers in transportation, or image recognition algorithms replacing radiologists in healthcare. In mental health, however, the human element of care is critical. A memorable moment of the event was when one of the clinical psychologists we met said, “the curative element of therapy is the feeling of being felt.” Rather than build a chatbot or mobile app meant to stand in for a therapist, we chose to build a solution that would make therapists more effective at providing care. Our team — Cathy Chen, Bryant Luong, Kristen Kelly, and myself — consisted of an interdisciplinary group with skills in engineering, design, and product management. Throughout the hackathon, we tried to incorporate as much clinical evidence as possible, drawing from interviews with mentors who had clinical experience and reading studies found online. Body-focused repetitive behaviors are a relatively unknown group of related disorders that includes hair pulling, skin picking, and nail-biting. These are not simply bad habits, as they can be extremely difficult to control, and result in physical damage, emotional distress, and social stigma. BFRBs are diagnosable in the DSM-V, and the prevalence of BFRBs is estimated to be at least 3% of the population. Although there are multiple BFRBs, we decided to focus on hair pulling disorder, also called Trichotillomania (Trich). One of the evidence-based treatments for Trich is habit-reversal therapy. It is a form of cognitive behavioral therapy specifically designed to treat Trichotillomania and other BFRBs. Upon further investigation of habit-reversal therapy, we discovered that it required patients to manually log, via a paper form, when they were pulling their hair. The following image shows an example of a form that a patient would use. This was the first of a few insights that led us to think deeply about how a chatbot could serve a place in therapy, especially during those moments when a therapist can’t be there with a patient. We wondered: what if a patient could log a hair pulling incident with a chatbot, just as they might confide in a non-judgemental friend? We built a configurable chatbot digital therapeutic that augments therapists during habit-reversal therapy for hair pulling (Trichotillomania) and other impulse-control disorders. Our prototype illustrates what is possible when the strengths of humans (human connection, care) are combined with the strengths of technology (always accessible, good at analytics). For therapists: A platform that would allow them to configure personalized cognitive-behavioral interventions for individual patients and specific disorders. In our case, the intervention was a series of questions to understand the patient’s hair pulling event. For patients: Trichy, a chatbot that they could go to anytime to report pulling, access breathing exercises, or take a hair pulling severity measurement test. For patients and therapists: A dashboard for both patients and therapists that would display patterns and insights about the patient’s hair pulling behavior. We were humbled by the positive response to our project. A psychiatrist came up to us after the event and we had a fruitful discussion about how our idea could be used in the treatment for self-harm patients as well. Though the hackathon is finished, we will continue to explore how technology can help augment therapy! We would like to give a huge thanks to all the organizers and mentors for a great event! We encourage anyone reading to consider attending or getting involved with HackMentalHealth! Product Manager at SigOpt. Studied Computer Science and Management at Penn. Often building, organizing, and ideating.